Get Dirt Wheels at Your Fingertips: Click to Subscribe! 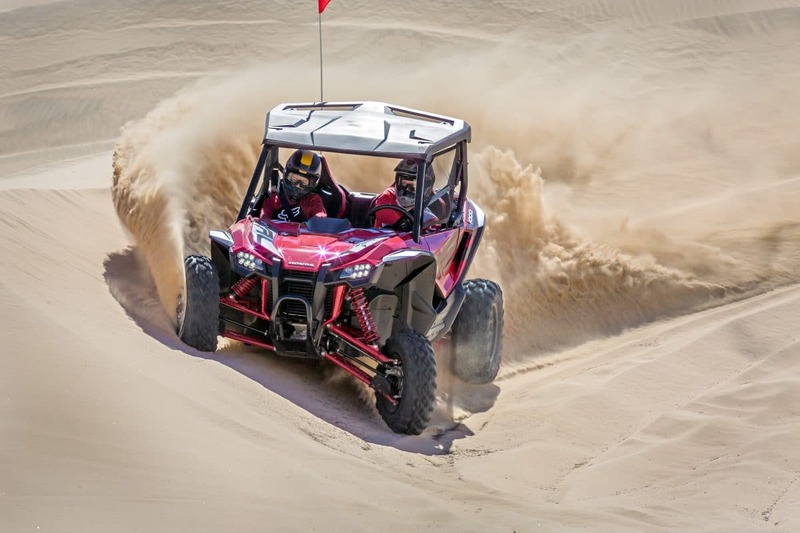 News about the new Honda Talon siblings is everywhere, but we actually got seat time in both machines on the day of our tech briefing. 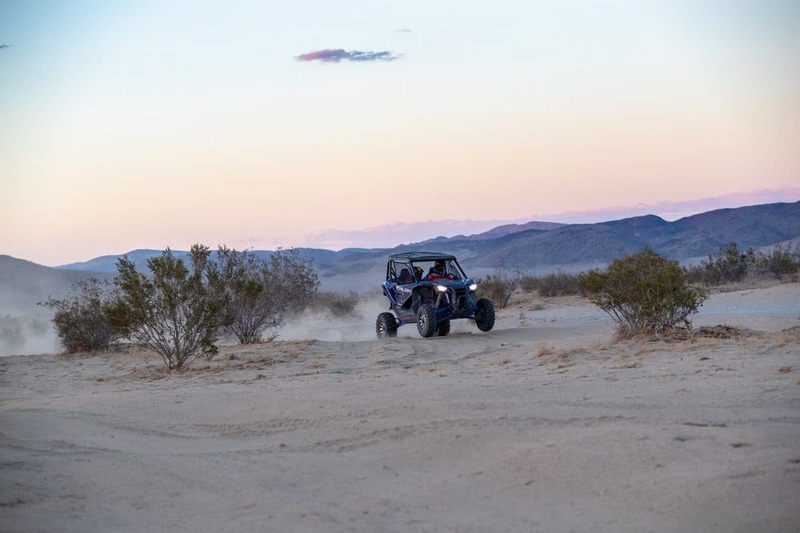 We saw the machines at the Honda’s highly secure test facility, but the ride portion took place on real desert trails in the Mojave desert near Ridgecrest, CA. We want to be clear that this was a brief ride – two five-mile loops in each machine. We were not allowed to deviate from the selected course, and we had a Honda rep as copilot. While Honda could have been expected to make the experience easy for best effect, the team put together a rough and tumble loop with plenty of real-world trails at least half of which were filled with whoops. And less you think that the Honda rep was to keep us reined in, they were actually egging us on to push the Talons harder in the rough than we were naturally inclined too with the little time we had in the cars and around the loop. But they know the cars and the loop, and knew when full throttle was appropriate. 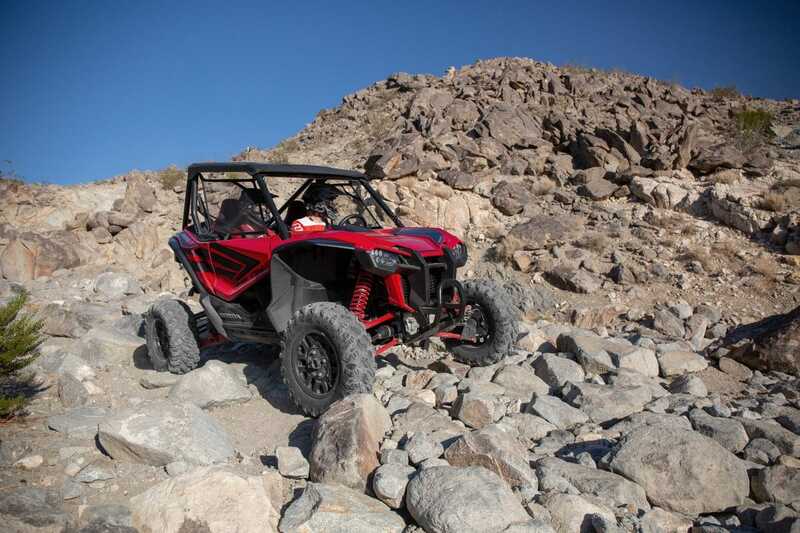 We started in the shorter travel and wheelbase Talon X. We drove part of the first loop in the normal transmission mode but switched to sport roughly halfway through the course. For sporty driving, shifts are smoother, and the ride is more composed in Sport mode for the six-speed DCT transmission. Honda claims 104 horsepower at the crank, so that would put it below the claimed output of other normally aspirated sport machines. 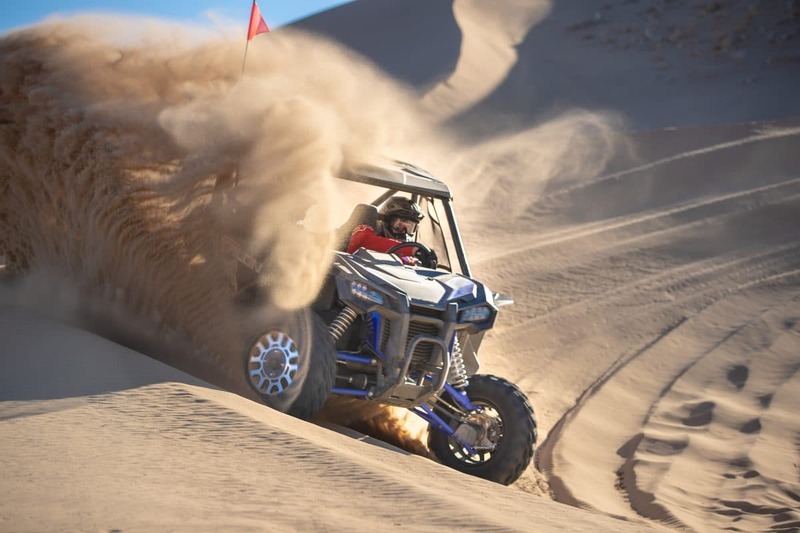 Honda also claims the DCT trans is more efficient, and that power and acceleration are at least on par with other normally aspirated UTVs. Happily, we can say that felt like the case. The Talon accelerates briskly and pulls hard from gear to gear. Unlike CVT/engine combinations, the sound of the Talon’s 999cc engine is sporty, and it almost sounds like a sport motorcycle going through the gears. For our second loop we switched the mode to manual, and we shifted using the steering-wheel-mounted paddle shifters. For our tastes, this was the most satisfying driving mode. We also sampled low range for some steep climbs. The car would do the climbs in high range, but low range offered better control of traction and line choice. 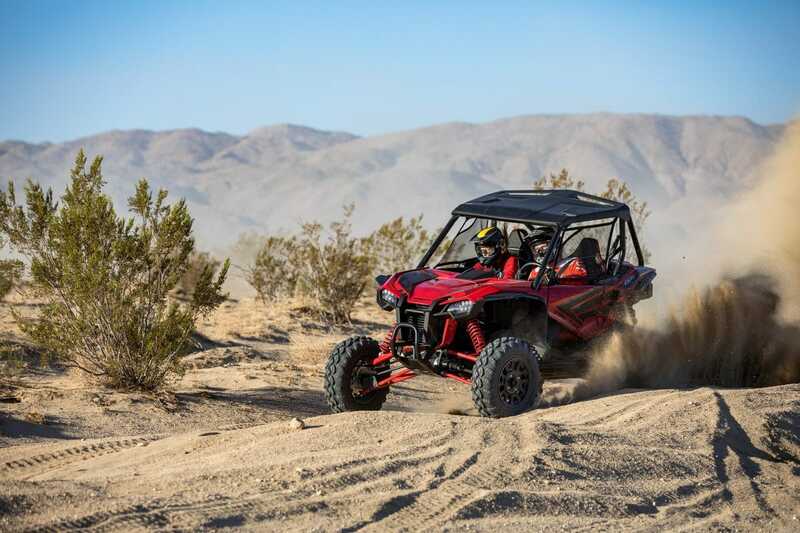 Honda set up the Talon X suspension on the sporty side. It isn’t super plush, but still allows the car to pushed extremely hard for a 15-inch-travel machine. It tracks straight and feels secure in the rough. Cleary, the X is designed for tighter conditions than we experienced, and it should rock tight trails. Nevertheless, it accounted itself well in the rough desert. After our Talon X experience, we spent less time in other modes and went almost immediately to manual driving mode. 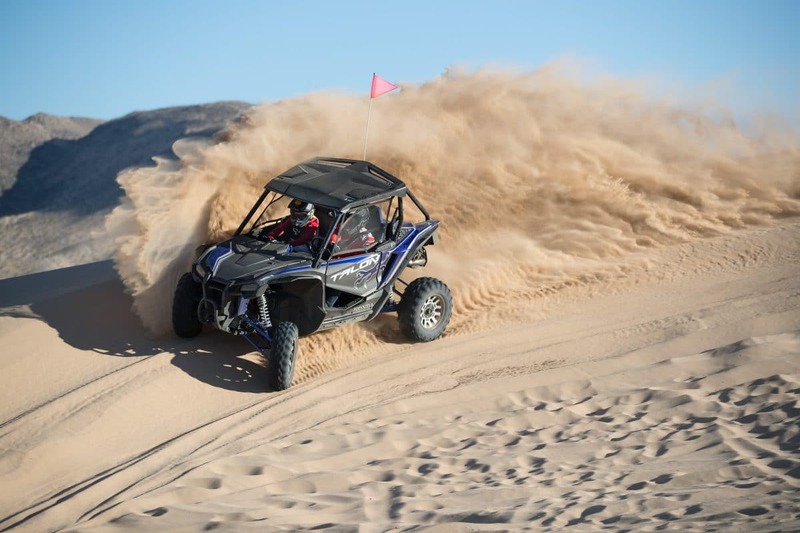 From the first moment the Talon R felt happier and calmer in the high-speed rough. More importantly, the small-bump compliance went up as well, since at just over 20 inches of rear wheel travel, there is more suspension to work with. For the Talon R loop techs added a roughly half-mile stretch or twisty, turning and up and down trail filled with whoops. We were encouraged to run the car through them at full throttle. Honda has certainly built a car that handles the rough with composure. It stays straight with minimum bucking, and when it does buck, it often felt like we entered the section too cautiously. Obviously, for Western conditions we like the R.
Traction is quite good with the Honda-specific Maxxis tires. 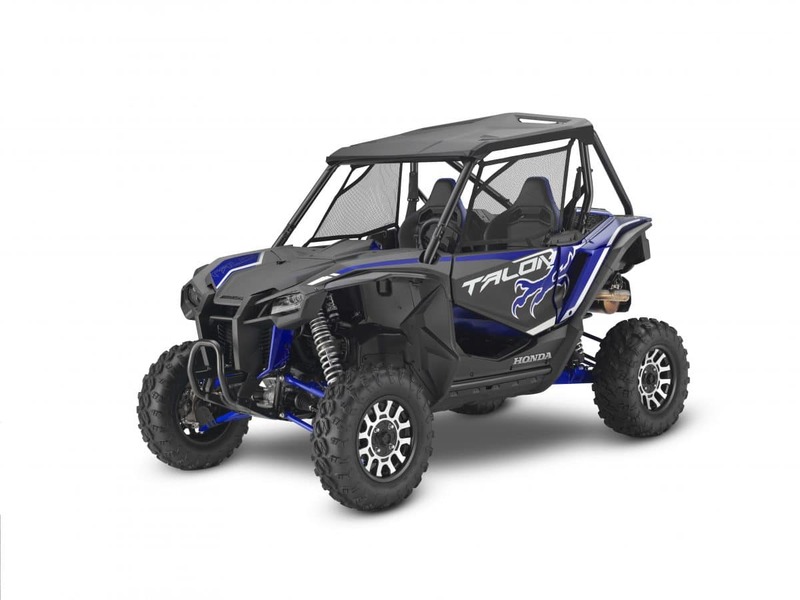 With 15-inch rims and 28-inch tires the Talons don’t have as much tire sidewall flex to add to the ride as other UTVs do. That combination is likely where the crisp handling and clean control the machines exhibit comes from. We did notice that both Hondas slide the rear out in turns smoothly and typically hold that slide. It is really fun, and the car feels natural sliding with little tendency to two wheel while it is happening. No doubt the tire/wheel combo is part of this trait as well. Visibility to the front is excellent since the seats hold the cab occupants fairly upright compared to some machines. Visibility to the sides is handicapped by the window nets. We will be the first to admit that the window nets and high door sides make the Talons feels extremely secure and safe to drive hard, but there is a trade in visibility to the side. As we wrote this there is no pricing for either machine, but a promise from Honda that they will be competitively priced. We predict a large number will be sold for the simple fact that these are Hondas, but many more will be sold because they are great machines that are a lot of fun to drive.